SKU: EL_CCOR. Categories: Eel skin Cigarette cases, Eel skin Collection. 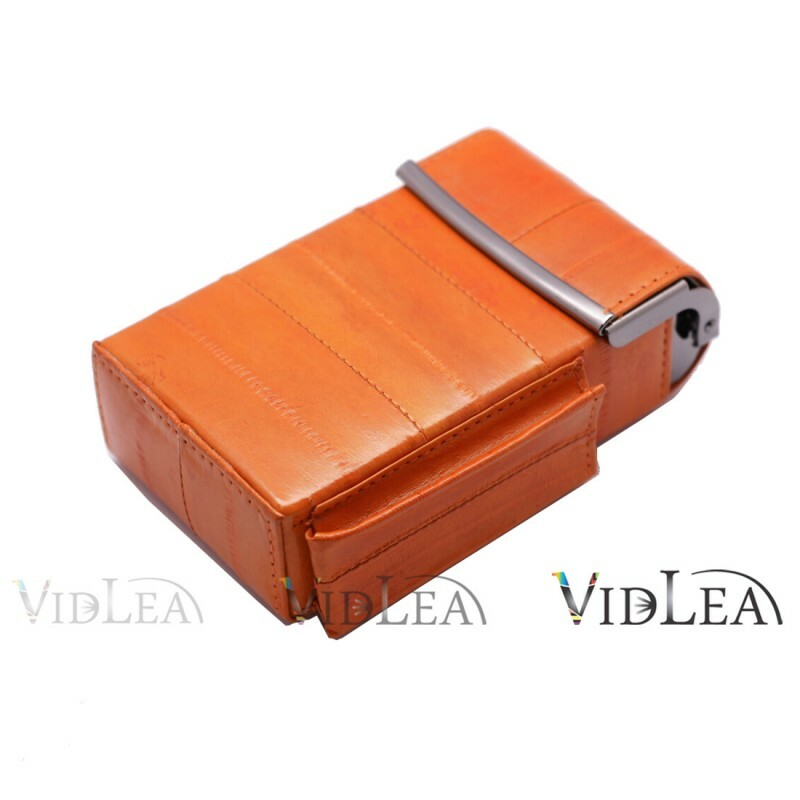 Tags: 100s cigarette, cigarette case, cigarette cases, eel skin cigarette case, eel skin cigarette holder, eel skin leather, eel skin tobacco case, orange case, orange cigarette case. 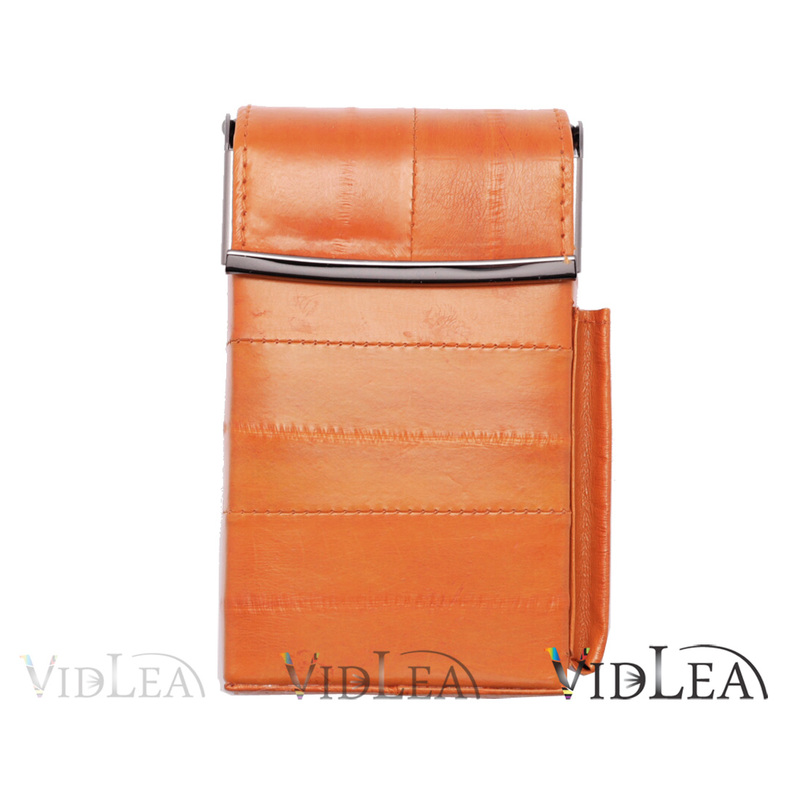 Eel Skin Cigarette case Orange Cigarette holder, Update your Eel skin leather cases collection. Useful compliment to this case’s luxurious styling. 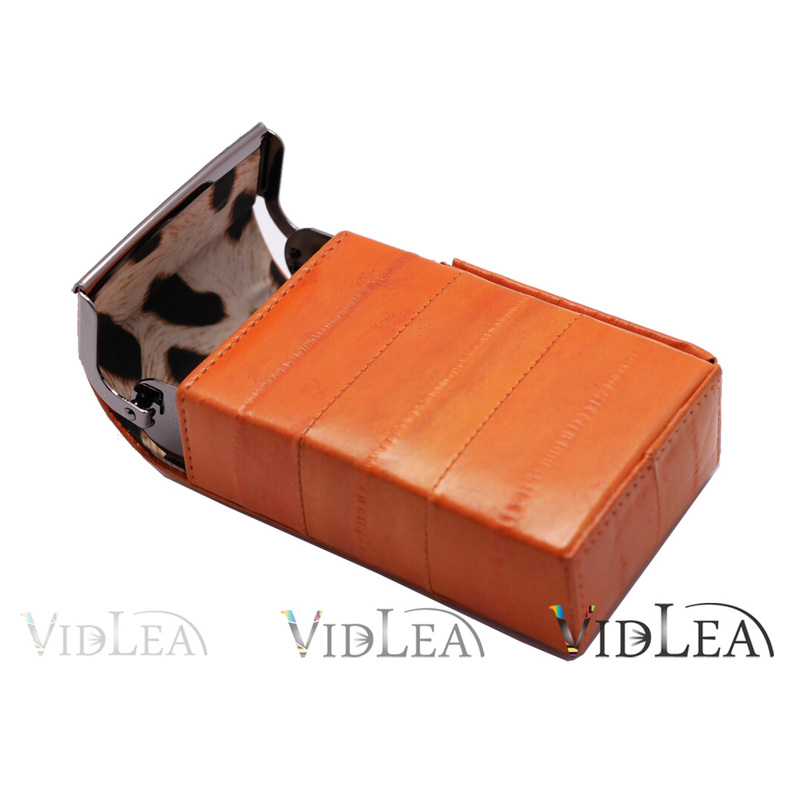 Vivid Color, Genuine eel skin pattern adorns this hard case cigarette case, Easy to take cigarettes out of a sliding Case when opened. Hope to bring you Good luck and health. Feel Lux and Casual! It’s made of Genuine eel skin leather. 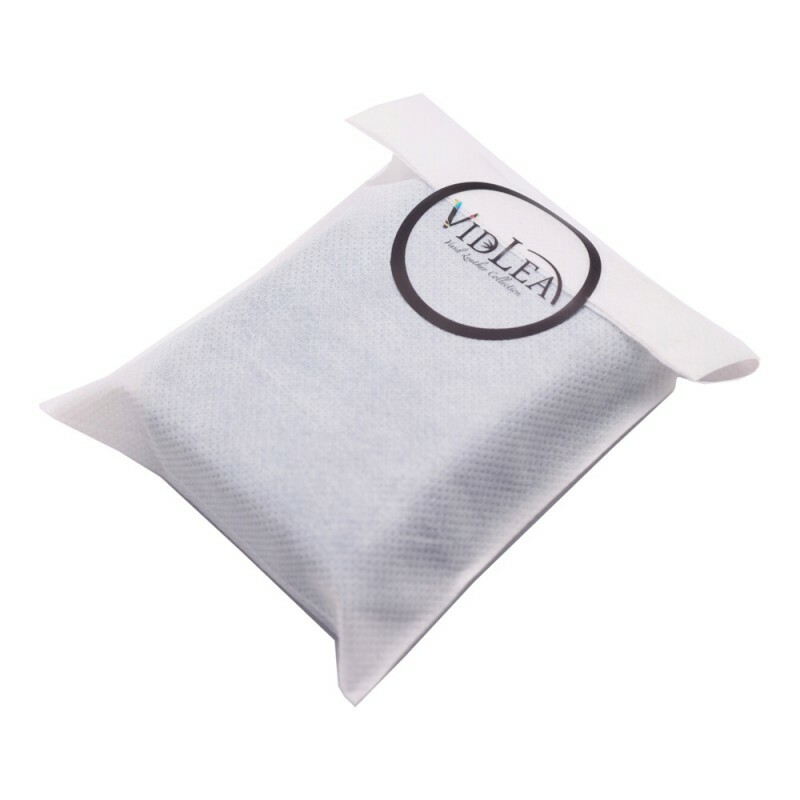 – It’s Lightweight and very supple yet incredibly strong. 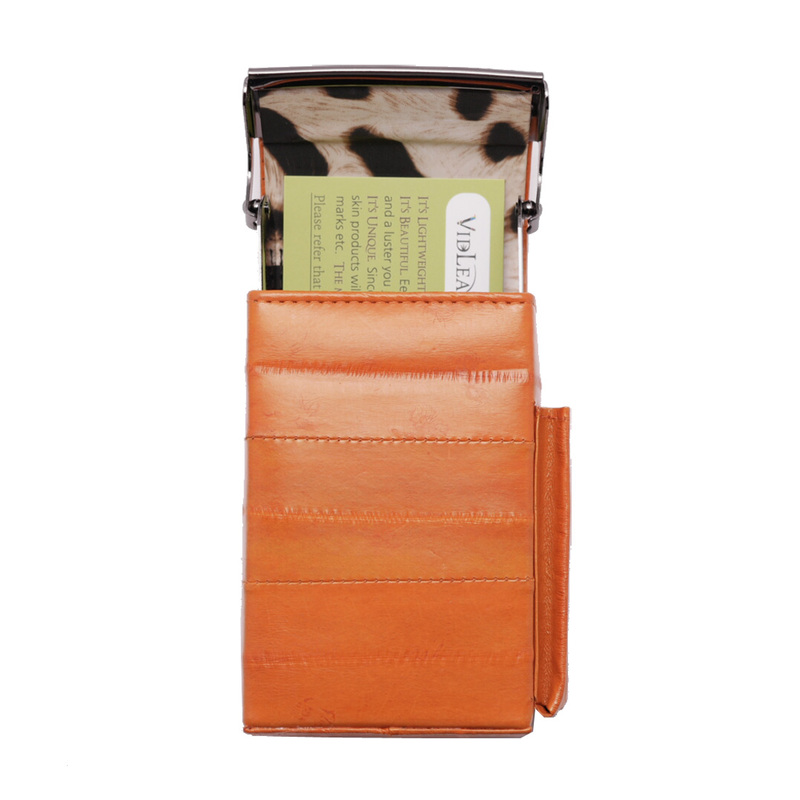 Eel skin is stronger than regular leather of the same thickness and becomes even more supple with continued use. – It’s Beautiful. Eel skin products feel wonderfully soft and a luster you just can’t get from cowhide. – Eel skin products get softer, shinier and supple with use. – Eel skin products is highly susceptible to water. Please avoid the water. When it get wet, Please dry in the shade. – Since all eels are slightly unique, each eel skin product will be as well like wrinkles, tiny scars, bite marks etc. The mark can be prove “Genuine”. 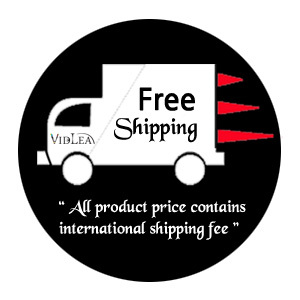 – Color and Lining of the item may vary in the middle of production because it’s HANDMADE. – Surface finish and color can be erratic by handmade products. * Color & Lining of Item can be different in the middle of production because it’s HANDMADE. * Colors may seem different depending on monitor resolution. * The dimension were measured by ourselves. It might be slightly different. If you want to shop for different eel skin products, Please CLICK HERE!